Digital marketing has been all the rage of late, but print advertising is still running strong, especially in certain situations. For example, Chief Marketer argued that while digital is now accounting for the lion's share of ad spend, business-to-business marketing is still heavily rooted in print, which organizations spent $37.2 billion on globally last year. The source noted that pharmaceutical and financial services markets were the biggest investors in print advertising last year. In terms of which formats these ads are coming in, custom print led the way with 28 percent, followed by direct mail at 26 percent and magazines at 17 percent. 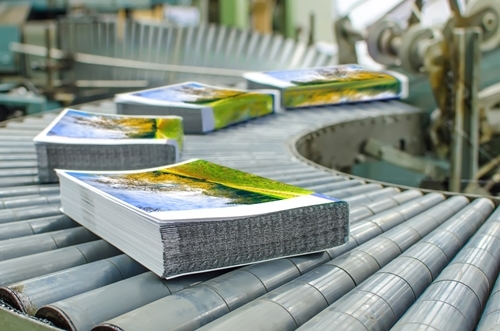 Suffice it to say that the print marketing industry has remained resilient, and will likely be a major force in brand management for the foreseeable future. Other new reports have shown that print advertising is not remaining in the past, but rather evolving to maintain a level of relevance among modern businesses. ProPrint recently reported that print advertising remains ahead of social media with respect to trust and utilization, with 60 percent of consumers who responded to a study saying that they feel this way about traditional marketing tactics. According to the news provider, 46 percent of the same group stated that they trust ads seen through social media websites and other digital environments, showing that the print market is still a bit more favorable among today's consumers. It is worth noting that social media has not been the most powerful channel for marketing ventures on the Web, with email and others already acting as more effective avenues through which companies can communicate their brands' messages. Still, investing in print advertising before embarking on a social media ad campaign might help to boost brand performances today a little better than doing the opposite. The real estate sector is one of the more heavily reliant upon print in ad campaigns, but is also beginning to aggressively pursue digital opportunities. Mobile Marketing Watch recently reported that one new tool will actually help to converge print marketing campaigns and digital activities, converting the former into localized ads that are delivered to smartphones in the vicinity of the agency. Print will continue evolving, and companies need to keep up with their responsibilities related to optimizing traditional and advanced ad campaigns.